Here is a feature that is easy for us to take for granted. However, not everyone is aware of it. I thought it would make a nice blog entry. Are you aware that you can ask for a name at the end of each order? 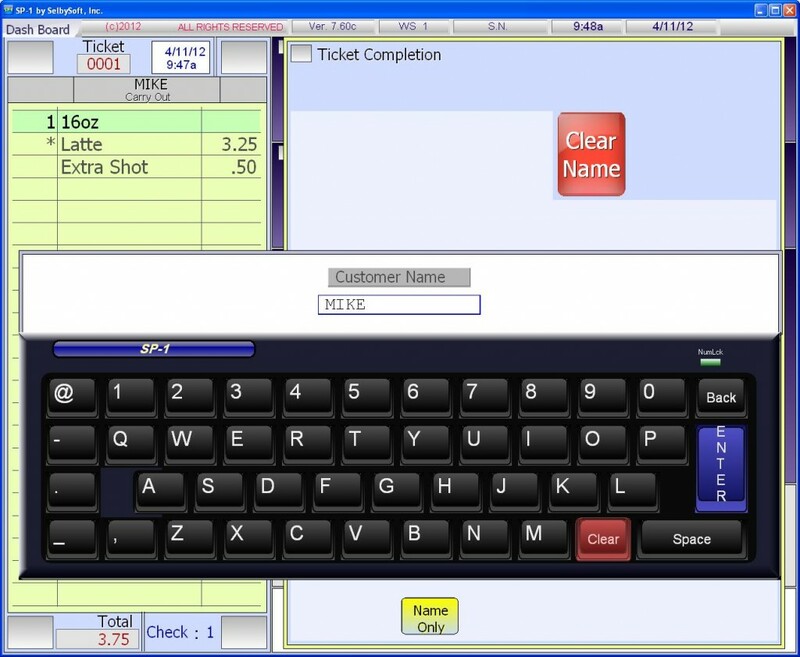 This allows your employees to type in the name (usually just the first name) and have that recorded on the ticket. This can add a level of personalization to your transaction as well as help your employees become familiar with your customers. Sounds simple right? I always like to point out that things are never as simple as they seem on the back end of things. What if you have already pulled the customer up with a loyalty or prepaid card? What if it’s a delivery order or phone order? All of these are accounted for! If the order has no customer information already and it’s a Dine in or Carry Out, then the name prompt appears. If there is already a customer attached to the ticket, then the name prompt is skipped- You already have it! If you are doing a delivery order or pickup order, then the name prompt is skipped and you are instead prompted to enter the phone number for the delivery or pickup order. By the way, the name prints on both the customer ticket and any internal (kitchen / Barista) tickets. Do you use this feature? Do you use it in a different way? Let us know! Do you take advantage of the customer file features SP-1 has? If not, then you might be missing out on one of the best features of SP-1! Most people are aware that SP-1 can track your customers and their name, address, phone number but have you explored the other items that are in the customer file and available to you? Birthday. Yep, we track your customers birthday! 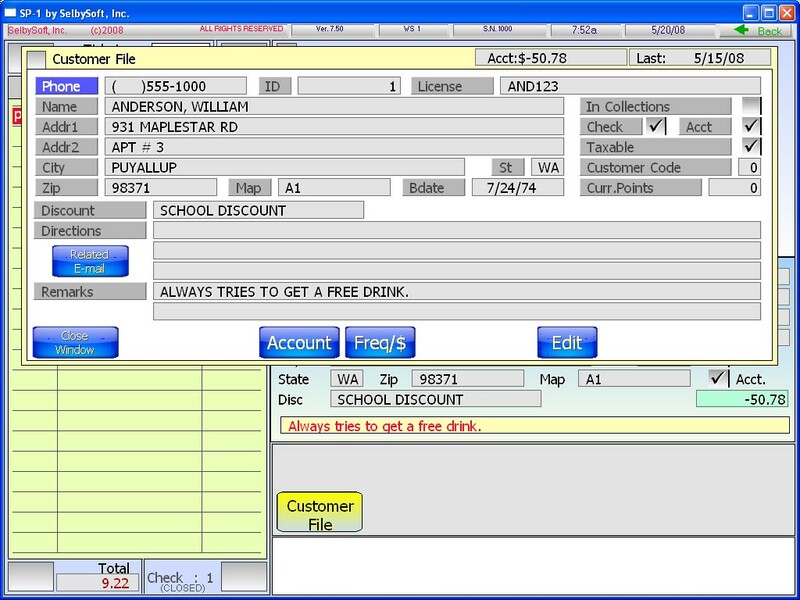 Better yet, you can use SP-1 to alert your staff that customer has a birthday coming up! Email. Anyone can track an email address – we track ten per customer! Multiple phone numbers. Use a phone number to track past orders for your customers? SP-1 tracks ten per customer. If a customer calls with their cell, home, work or any other line, you can link all of them to the same account. Multiple addresses. An address is great for delivery but what if the customer wants it to go to his office or friends house? What about catering? With SP-1 you can have up to three additional addresses for catering. Custom remarks. A line just for your staff! What ever you type here is highlighted on the screen for your clerk to see. This question and a couple others was something asked by Rick & Judy from Mountain Mudd. Tickets can be placed on-hold for a number of reasons. . . The first is that the payment is not being made until later and the second is that the ticket has a credit card assigned to it and the tip has not been processed. Someone called an order in and it will be paid for when they get there. They are running a tab in the store. They don’t have enough money or need to go grab their wallet / purse. The order is in a drive thru and you need to take the next car in line. As you can see, this is a powerful feature. SP-1 allows you to pull these on-hold tickets back off and close them out at anytime. On-hold tickets are designed to be closed by the end of the day. With credit cards (assuming you are processing through the POS and not a separate machine), the credit card is processed immedietly and then put on hold until the tip is added and processed (assuming you are processing tips!). If you don’t put a tip the credit card was still sent to the processor. If you leave tickets on-hold, you will notice that the Business Summary at the end of the night will show you in two places that it is on-hold. First at the top of the printed or viewed page and then on red at the bottom of the Business Summary screen. The on-hold ticket is included in the totals on the Business Summary as we have to assume that you closed the ticket out and did not record the total. Hopefully that clears up some things about On-Hold tickets!